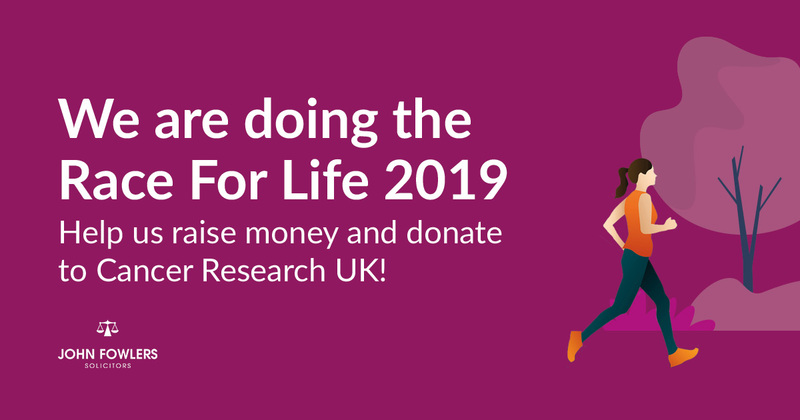 To raise as much money as possible for Cancer Research the team are taking part in the Race For Life 2019! Your local Colchester Law Firm, John Fowlers are participating in Race For Life. To raise as much money as possible for Cancer Research the team are taking part in the Race For Life 2019! If you would like to sponsor us, you can donate here. Cancer has affected many of us in one way or another and is extremely close to our heart. We are fundraising for Cancer Research to help make a difference. The money raised supports the vital work of Cancer Research, helping them to fund life-saving research into the causes, prevention and treatment of cancer. We are raising money to help support Cancer Research on their mission. So, if you want to join us and grasp the opportunity to make a difference, you can donate here or join us and take part in the Race For Life in 2019! If you wish, you can donate here.